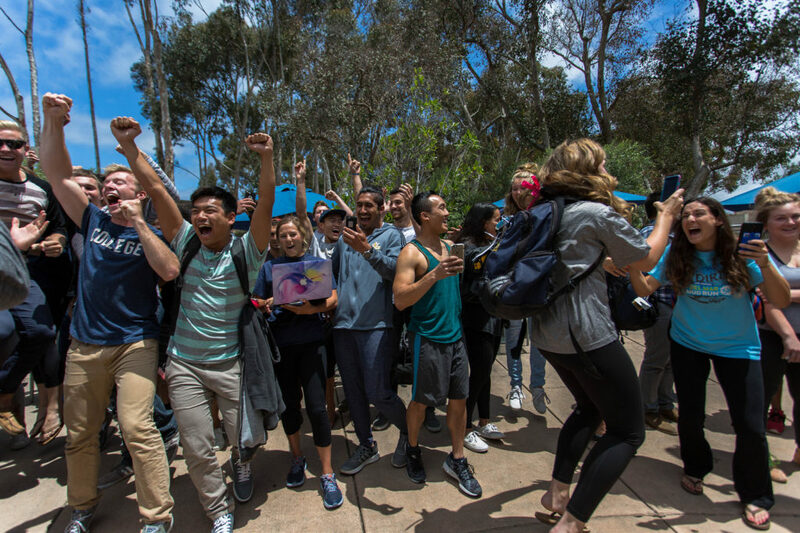 Students voted to increase the Intercollegiate Athletics activity fee today, which puts UCSD on the path toward becoming an NCAA Division-I university. The A.S. Elections Committee announced the results of the special referendum this afternoon at Round Table Pizza. According to the polls, approximately 35 percent of the student body voted on the referendum. Of the 8,828 students who participated, 6,137 voted in favor of moving to Division I, while 2,567 voted against the fee increase. UCSD Athletic Director Earl Edwards described the switch as a chance to bolster school spirit for the entire UCSD community, including students, alumni and the public. Representatives from the No on D1 campaign issued a response to the Guardian stating that they only hope the benefits of this referendum outweigh its cost to students. “Though we are deeply opposed to the use of student fees to fund a move to Division I, we hope that the athletics department will use the funds raised by the ICA referendum in good faith to benefit students and UCSD in general as promised, and to improve UCSD standing in the outside world,” representatives said. Following approval from the student body, Edwards explained that further steps are necessary in order for UCSD to acquire Division-I status. These measures include receiving an invitation to join the Big West Conference, as well as faculty approval. A.S. Elections Manager Claire Maniti clarified that although faculty can reject the students’ vote, Chancellor Pradeep Khosla ultimately determines whether or not the transition process moves forward. Citing student support, Maniti finds it unlikely that the chancellor would turn down the favored referendum. Over the course of the next three years, students will see their ICA activity fees — which are currently $129.38 per quarter — rise to $189.38 per quarter in the 2017-2018 academic year, to $244.38 per quarter the following year and to $289.38 per quarter the year after. 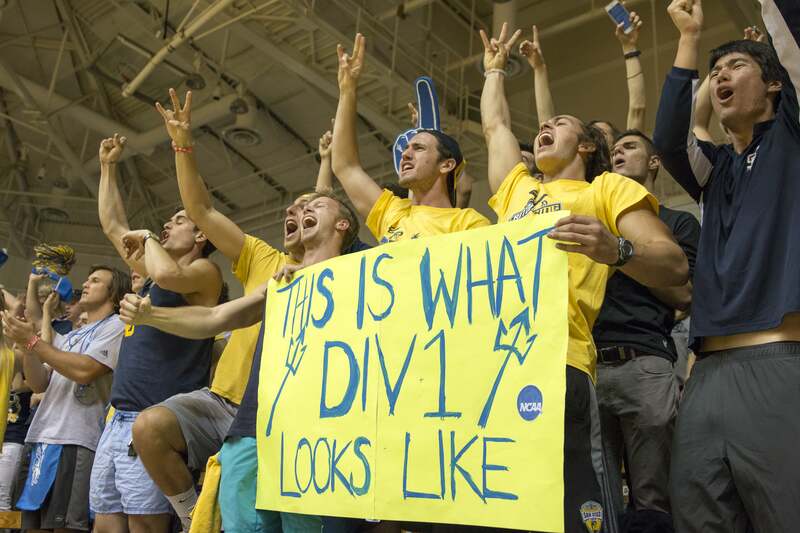 The money will go towards meeting requirements for financial support, coaches’ salaries, grant-in-aid funds and other costs associated with Division I, allowing UCSD athletic teams to compete in the highest level of intercollegiate athletics. Earl Warren College junior Luke Wang cautioned students not to expect the projected benefits of becoming a Division-I campus to materialize any time soon. Edwards told the Guardian that he views the success of the Division-I campaign as an indicator of what students believe will improve the UCSD experience. “To have students make an overwhelming statement in favor [of Division I] tells us that this is something that they believe is not only best for the athletics department, but the university as a whole,” Edwards said. Wang understands, however, that the support from the student population suggests that students are willing to make short-term concessions for long-term gains. “This election just means that students are okay with a drastic fee increase, and [that] we have to get that invitation for things to actually happen, maybe in a year or two,” Wang said. Muir College junior and student athlete Alec Petty said that he is excited about the possibility of being able to compete against schools with well-established athletic programs. In addition, Petty applauded his fellow teammates and other supporters for their Division-I campaign efforts.